Welcome Back! The Adventures of Ichabod and Mr. Toad is a classic Disney film and the last of the package films. It is the 11th Walt Disney Animated Classics. It was released on October 5, 1949. It was produced by Walt Disney and distributed by RKO Radio Pictures. 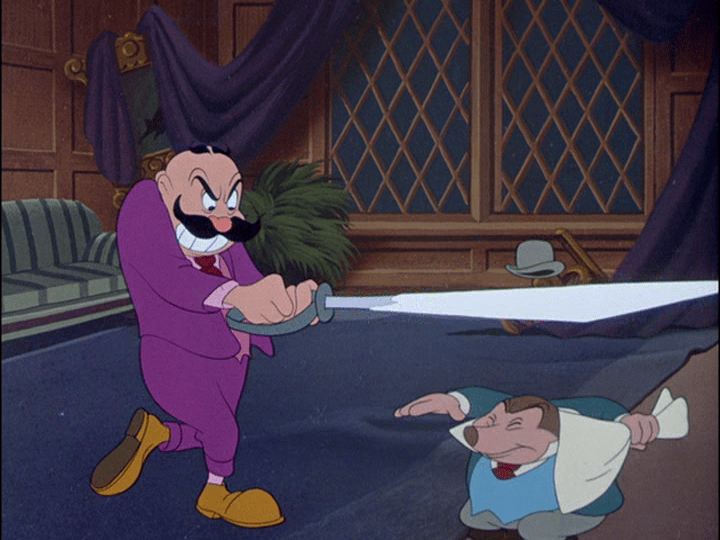 The Adventures of Ichabod and Mr. Toad won a Golden Globe in 1950 for Best Cinematography-Color. The film only contains two segments: The Wind in the Willows and The Legend of Sleepy Hollow. The Adventures of Ichabod was directed by Jack Kinney (Pinocchio, Dumbo, Saludos Amigos-The Adv. of Ichabod & Mr. Toad, Peter Pan), Clyde Geronimi (The Three Caballeros, Make Mine Music-101 Dalmatians), and James Algar (Snow White, Fantasia, Bambi). The Adventures of Ichabod and Mr. Toad was written by Erdman Penner (Pinocchio, Fantasia, Make Mine Music, The Adv. of Ichabod and Mr. Toad-Sleeping Beauty), Winston Hibler (The Adv. of Ichabod & Mr. Toad-Peter Pan, Sleeping Beauty, The Aristocats, The Many Adv. of Winnie the Pooh), Joe Rinaldi (Dumbo, The Adv. of Ichabod and Mr. Toad-Sleeping Beauty), Ted Sears (Snow White, Pinocchio, Saludos Amigos, The Three Caballeros, Melody Time-Peter Pan, Sleeping Beauty), Homer Brightman (Saludos Amigos-Cinderella), and Harry Reeves (Saludos Amigos, Melody Time-Cinderella). In 1938, after Snow White, James Bodrero and Campbell Grant pitched the Wind in the Willows book idea to Walt Disney. Disney was skeptical and felt it was corny, but obtained the rights in June 1938. In 1941, the script was nearly complete and a song by Frank Churchill “We’re Merrily On Our Way” was finished. Production began in May. Within 6 months, 33 minutes of the film was complete. But, because World War 2 took nearly all their animators and cut off the foreign market, Wind in the Willows was put on hold. The animators felt the animation was too cartoony for a feature film, so they decided to make it a package film. It was originally titled Three Fabulous Characters and paired with Mickey and the Beanstalk and The Gremlins, but The Gremlins failed to materialize; changing the name to Two Fabulous Characters. Then Mickey and the Beanstalk was cut and paired with Bongo. In December 1946, production began on The Legend of Sleepy Hollow. The animators found that the film wasn’t long enough, so decided to make it a package film. In 1947, Disney decided to pair the two together and use the new name, The Adventures of Ichabod and Mr. Toad. The well-known celebrities Basil Rathbone and Bing Crosby were used as narrators for mass appeal. The music is by Oliver Wallace (Dumbo, The Adv. of Ichabod and Mr. Toad-Lady and the Tramp). Decca Records issued an album called Ichabod- The Legend of Sleepy Hollow featuring Crosby in 1949 to tie in with the release of the film. 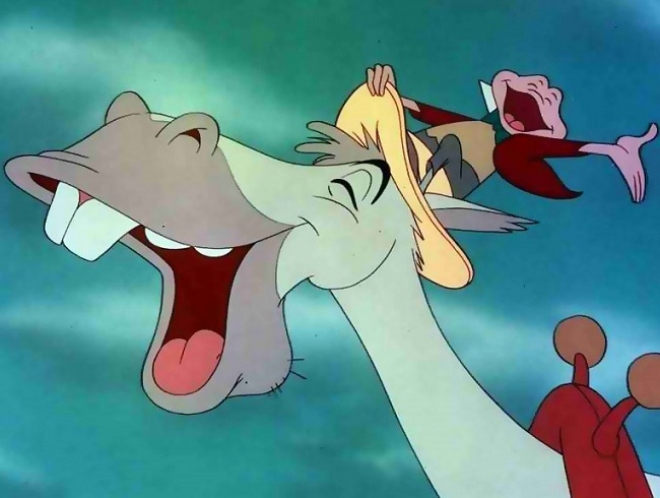 Pinto Colvig as Ichabod Crane screaming; voices Goofy and Pluto, Grumpy & Sleepy in Snow White, etc. 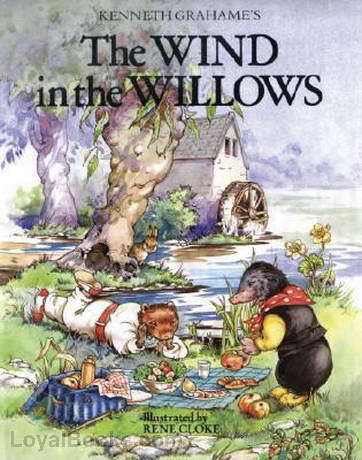 The Wind in the Willows is based on the children’s novel “The Wind in the Willows” by Kenneth Grahame (British author). It was published in 1908. He also wrote another book that was produced by Disney, The Reluctant Dragon. 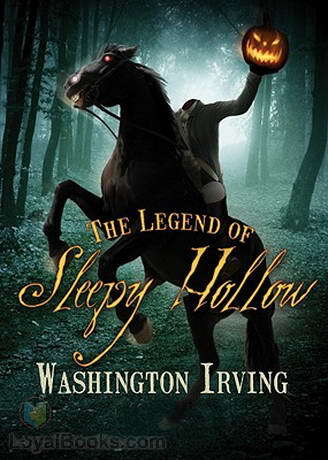 The Legend of Sleepy Hollow is based on the 1820 short story “The Legend of Sleepy Hollow” by Washington Irving (American author). He is best known for the short story “Rip Van Winkle” and his historical biographies. 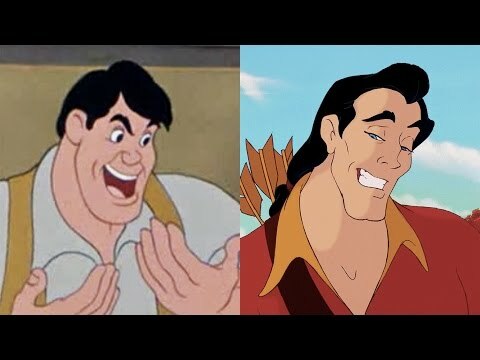 Brom Bones was the inspiration for Gaston. 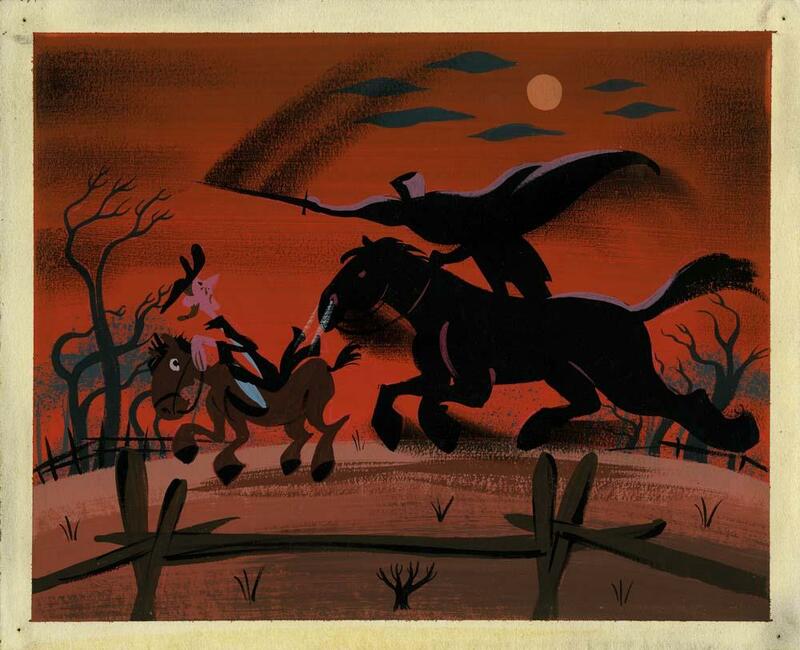 The song “Headless Horseman” is considered one of the darkest songs in a Disney movie and was nearly cut from the film. The Headless Horseman, along with The Horned King and Chernabog are considered the scariest villains in a Disney movie. Disney still receives complaints from parents that the character scares their children. The only reason these two segments are linked is because the main characters are prone to disaster. To save money, Katrina was modeled after Grace Martin (Make Mine Music), and resembles Slue Foot Sue from Melody Time. In Who Framed Roger Rabbit, the Toon Patrol was designed and patterned after the Weasels in the Wind in the Willows segment. Originally, Jiminy Cricket was going to be in the film to introduce The Wind in the Willows segment, but that was dropped. It was the first Disney Animated film to have a surprise antagonist who didn’t appear evil at first until the true colors get revealed in the end. Others include The Sword in the Stone, Tarzan, Lilo & Stitch, Meet the Robinsons, Tangled, Frozen, and Zootopia. 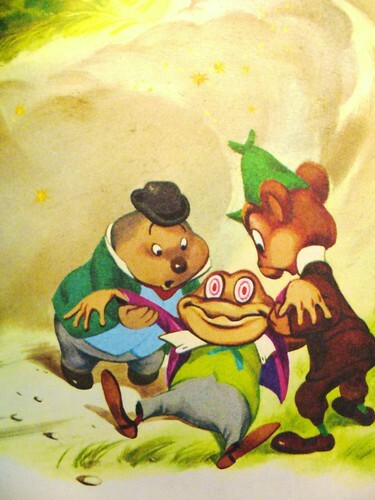 The Adventures of Ichabod and Mr. Toad won a Golden Globe in 1950 for Best Cinematography-Color. The film has a 93% on Rotten Tomatoes. M. Faust of Common Sense Media gave the film 5 out of 5 stars. The Wind in the Willows segment is set in London, England between August 11, 1908 and January 1, 1909. The Sleepy Hollow segment is set in Sleepy Hollow, New York in October 1790. Thaddeus Toad: Main protagonist; A toad who is a true friend with his heart in the right place, but gets completely obsessed with things. Cyril Proudbottom: A horse who is absolutely loyal to Toad, and likes to go for rides. Ratty: A stuffy and sophisticated rat who is intelligent and caring. Mole: A friendly, but gullible mole. Angus MacBadger: A tough and critical badger who offers to help Toad, but feels like he is going crazy after doing so. Winkey: The antagonist of the film; He is the secret leader of the gang of weasels and is very greedy. Weasels: Supporting antagonists; Crafty thieves and crooks who serve their boss. Ichabod Crane: Main protagonist; A schoolmaster who is concerned with becoming rich and reading. Katrina Van Tassel: A beautiful, cheerful young woman who is oblivious to the attention of all the men. Brom Bones: Antagonist; He likes Katrina, beer, and his horse, and prefers to keep Ichabod away from Katrina. Tilda: She is in love with Ichabod. She gets over-excited easily. The Headless Horseman: Main antagonist; His powers only work in the forest and he is looking for a new head. Ichabod and Mr. Toad- Introduction song during the opening credits. Merrily on Our Way: The song Ichabod and Cyril sing as they ride around. Ichabod: The song introduces us to the main protagonist Ichabod Crane. Katrina: The song introduces us to the main love interest Katrina Van Tassel. The Headless Horseman: Brom uses the song to set the tone and tell the tale of the Headless Horseman. The Adventures of Ichabod and Mr. Toad is the best of the package films. The first half- Mr. Toad, has a great song and great animation. Most of the characters are pretty good. The Ichabod segment is absolutely fantastic. While, the first segment falls short, this one is brilliant. While, I might dislike Ichabod, the other characters are so great, that my dislike for him is overshadowed by the characters. Ichabod tells the legend of Sleepy Hollow, and stays true to the tale. It’s filled with fantastic songs, animation, and characters. The Headless Horseman is a great villain. The first half- Mr. Toad, isn’t my favorite segment. If you’ve read any of my other blogs, then you will know that if I dislike the main character, I usually dislike the movie. Well, the same thing happened here. I can’t stand Toad in all of his foolish ways, and it makes me dislike the segment. He learns absolutely nothing, and neither do the other characters. So, I feel the segment was quite pointless. I don’t understand if there was supposed to be some kind of meaning to it, and I do not understand, but I don’t see it. Also, the villain isn’t interesting. 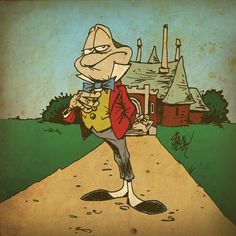 Mr. Winky and the Weasels only point is to attain Toad Hall, which greed is almost always a boring goal for a villain. Also, it doesn’t really explain how they were allowed to stay at Toad Hall. They did have the deed, but the deed was what proved that they were guilty. So, how were they allowed to stay there, if the only evidence that proved they could live there was evidence that proved they were guilty in the first place? I know it’s a short segment, but it always bothered me. I wished that they explained that somehow. The Sleepy Hollow includes another main protagonist that I dislike. Ichabod is an overly confident, uninteresting, gold digger. I am glad Ichabod didn’t get the happy ending, he so wanted. Other, than that my only complaint is that I wish the segment was longer. My favorite character is Brom Bones. He might be the antagonist of the film, but he’s a lot more interesting than our protagonist. 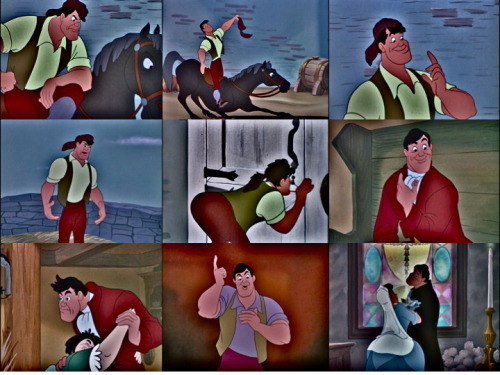 Brom is similar to Gaston, but not only in looks, but personality. The difference between the two is Brom isn’t a villain. He doesn’t mean to actually harm anyone. He is the town hero after all. He only longs to be with his beau, Katrina. That, is until, some arrogant, confident man comes into town. In the end, Brom wins Katrina’s heart and is freed from Ichabod. My favorite song is The Headless Horseman. It’s a spooky, yet catchy song. It tells the tale of The Headless Horseman. It is sung by the talented Bing Crosby who definitely fits the voice here. The song is fantastic and so is animation. It sets the tone for the whole climax. My favorite scene was probably the most well-known scene of the movie. That is when The Headless Horseman chases Ichabod. The scene is sure to give a fright. It is fantastic, filled with a fantastic score, animation, and an awesome villain. Next, is the movie Alice in Wonderland. No, it isn’t the Disney version, but a half live-action and half stop-motion movie. It was released in 1949 in France. It was directed by Dallas Bower. I’ve never seen it, but I think I’ve heard of it before. I’m in the minority in that I prefer the Wind in the Willows segment to the Ichabod Crane segment. I love the character of Toad! I love the other characters! I love the villains! I love the British charm of it! It’s something that I wish they had made a full-length feature of. I try a lot to fall in love with the Ichabod Crane segment, but I think it just drags for me. I do enjoy the Bing Crosby crooning though! I think most people do like The Wind in the Willows. I think most people just like Sleepy Hollow better. I just strongly dislike Toad lol. Well, they did Mickey and the Beanstalk, and they are going to do a new version of that called Gigantic. So, maybe one day they’ll redo this one lol. I am in the odd position that I have a lot of nostalgia for the Wind in the Willows segment, but I appreciate the Ichabod Crane segment more from an adult point of view. I don’t think those two get together at all, though. I think most people like The Wind in the Willows (besides me). I just think that most people like the Sleepy Hollow segment better, or that at least here, that segment is more well-known. In school, before Halloween, they would play the Sleepy Hollow segment. I had never seen or heard of the Wind in the Willows segment until like 3 or 4 years ago maybe. No, they don’t go together at all lol. I love the Mr. Toad portion SO MUCH, but the Ichabod segment is so boring and no fun at all! Everyone is different. I noticed that either a person likes the Mr. Toad section or they like the Ichabod section, but I haven’t seen a lot of people like both lol. Are you from the US or another country? I noticed a pattern with people from the US preferring Ichabod, and other countries prefer Mr. Toad. Thanks for reading!